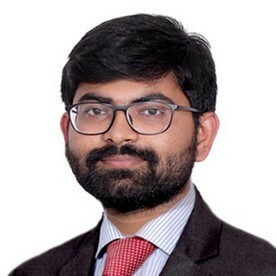 Mr. Balakumar is a Chevening scholar and the recipient of Keith Martin Jones award from the University of Birmingham for his Master’s degree in Road Management and Engineering. He specializes in injury biomechanics and is one among the very few AAAM certified AIS coders in India. For JP Research India Pvt. Ltd. he has served at various verticals from Team Leader to the Head of Injury Research. His area of specialty is of occupant kinematics for vehicles involved in crashes, and his background includes knowledge of human anatomy and injury terminologies, AIS scaling and occupant kinematics for injury correlation. Mr. Balakumar is currently a Road Safety Engineer and is also the Project Leader for the Kolkata Branch of JPRI. Having worked and led projects involving data analytics and field work, he currently also engages in road safety management, road safety auditing, traffic assessment, crash data analysis and forensic crash investigations. He has experience of investigating crashes in urban, semi urban, expressways and various national highways and is well versed with the structuring of relational accident databases.